We have been working with the City of Vernon on a renovation to their recreation centre over the last several months. 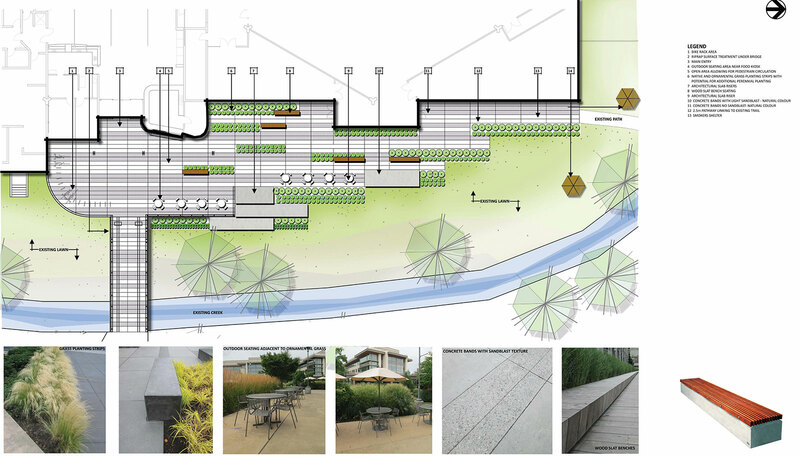 The initial intent of the project was to renovate the front entry of the building as well as the exterior space immediately in front of the building including a bridge that crosses a creek and provides the main access to the building. The facility has been in need of an upgrade and updating as well they were looking to add to their fitness area by adding a second floor space over the main entry. 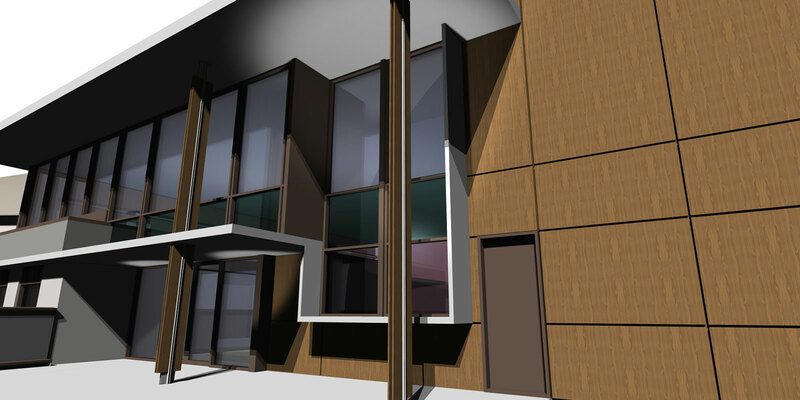 As the design evolved to a detailed level to provide costing it was determined that the second floor costs were beyond what was possible. As a result the project scope was pared down to the renovation of the main floor lobby, exterior front patio and renovation of the bridge. 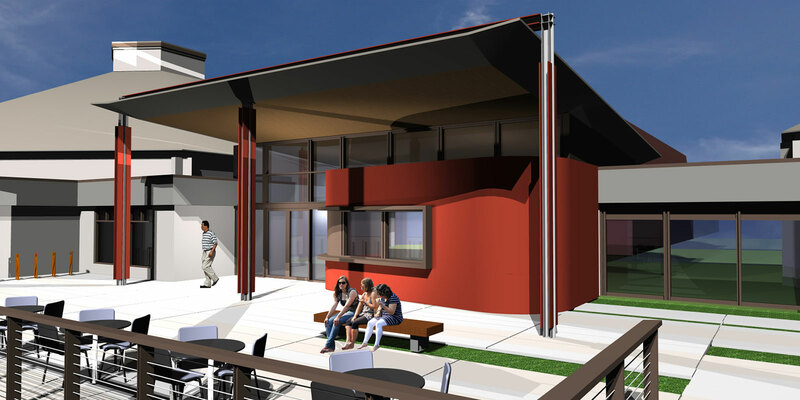 The City’s hopes were to activate the front patio of the complex to allow patrons to take advantage of the lush retreat of the Creekside environment. 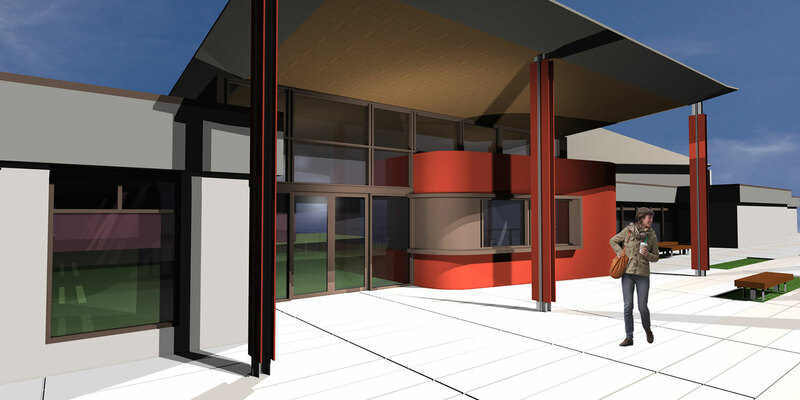 With the addition of a new kiosk space as part of the main entry and both enlarging the patio area as well as integrating it in a more meaningful way with the landscape, this exterior space could become a key draw for the complex and function as a social area as well as a space for outdoor exercise activities. The kiosk is expressed as a contrasting object to the simple linear lines of the existing complex and its coloration as well are meant to set it off from the complex. The Kiosk working with the large canopy roof also acts to frame the glass entry of the building. 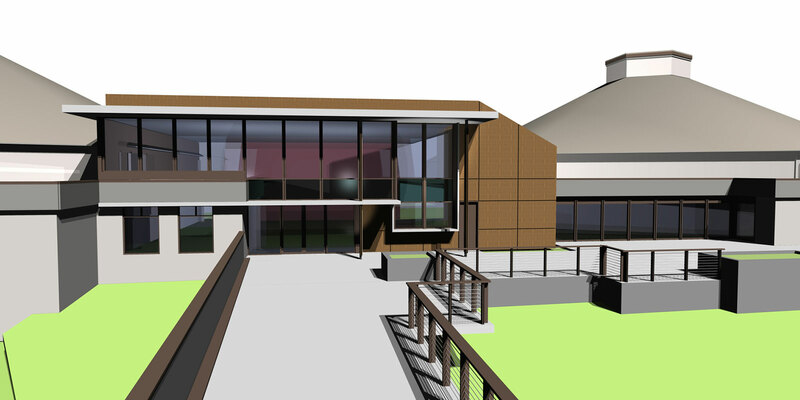 Construction is currently underway with this project and we are looking forward to seeing it take shape.